University of Virginia Library Online Exhibits | McConnell documents. 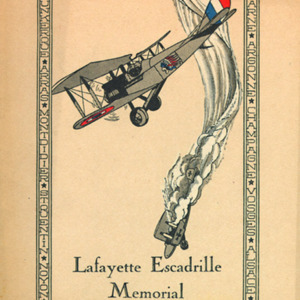 "To the pilots of the Lafayette Escadrille." McConnell documents. "To the pilots of the Lafayette Escadrille." “McConnell documents. "To the pilots of the Lafayette Escadrille." An official publication of the Lafayette Memorial, near Paris, published 1928,” University of Virginia Library Online Exhibits, accessed April 25, 2019, https://explore.lib.virginia.edu/items/show/4808.